I want to help you meet your vacation and travel goals. A few years ago I was traveling 2-3 times per year, paying for everything out-of-pocket. Alyssa and I (Caleb) now travel 2-3 times every month, using points to pay for 90% of our travels. 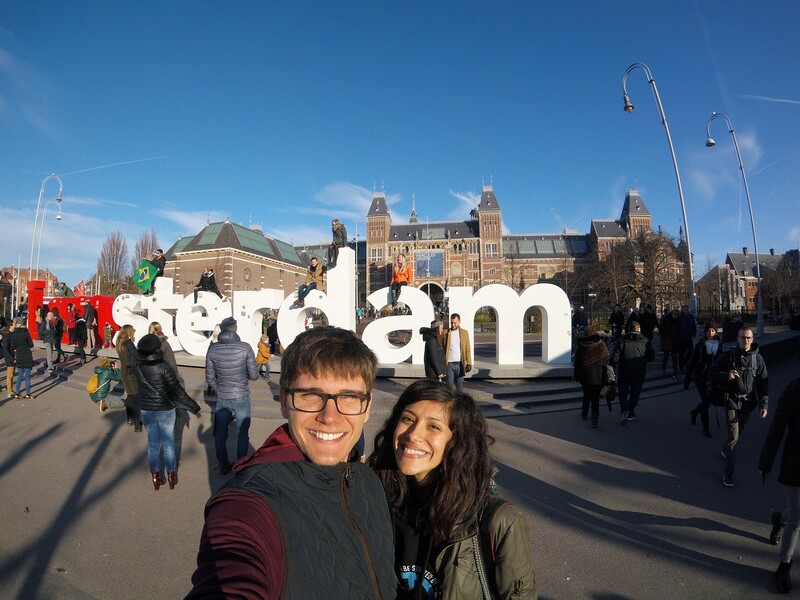 We were able to travel to Europe three times in 2016, our total cost was under $500 for all airfare and lodging. One of my main source of points comes from buying and selling products on eBay. By purchasing thousands of dollars in goods to resell, I am able to accumulate a massive amount of points plus extra cash for spending money. Another main source of points comes from signing up for multiple credit cards every quarter. A single credit card bonus can offer 50,000 or more points, easily enough for a one-way to Europe, Asia, or Australia. There are a lot of myths surrounding credit cards that could be keeping you from traveling for free. I have over 20 credits cards and my credit score is still 800~. I’ll give guidance on the best cards based on your credit and your travel goals. Last year we each flew 60,000+ miles in our travels, 90% of that was paid for with points. I am here to show you the best approaches to accumulate HUGE points and miles. Reselling on eBay and other sites can be a huge points and money-maker. Check out how I made over $1,400 in cash and close to 40,000 points in just one month. I’ll show you what goods to buy, how to maximize points earnings, and how to squeeze out the most profit. I’ve sold on eBay since 2003 so I have seen it all. Oh yea, I’ll show you how to avoid the common mistakes too. Additional 60 minute private webinars $35. Once you are ready to start reselling (maybe you are now), you can subscribe to my email “deal alerts” to get you the best prices on goods. You can expect 5-7 deal alerts per week. I will send out real-time handpicked deals specifically for reselling and let you know which cashback portal and credit card to use to maximize each purchase. I know the market price of goods on eBay, so you can be sure you’ll be buying goods that can be sold profitably. Let me do the heavy lifting by crawling the web for the best deals, you just make the purchase and get it sold. $35 per month, cancel at anytime.